What Types of Vacuum Are There? Why Use a Canister for Pet Hair? 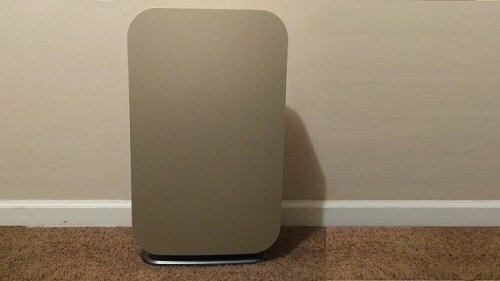 Why Do I Need a HEPA Filter? Can Canister Vacuums Handle All Types of Flooring? What If I Have Stairs? Should I Buy a Bagged or Bagless Canister Vac? Corded or Cordless – Which Is Better? Pet hair. It gets everywhere. It accumulates on upholstery at a rapid rate. It carries allergens like dander and saliva. Plus, it’s a pain to clean. Vacuuming pet hair is the fastest way to remove it, especially if you use a vacuum that’s designed with animal fur in mind. Vacuum cleaners can be broken down into six basic categories – uprights, sticks, robots, handhelds, backpacks and canisters. 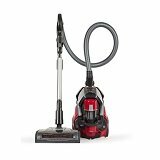 Upright vacuum cleaners are well-adept at cleaning carpeted floors, and many have an adjustable floor head that also lets you take care of hard floors. However, uprights aren’t the best choice for stairs and above-floor surfaces due to their bulk and lack of reach. Although sick vacuums are lighter and more mobile than uprights, they usually don’t offer the suction strength needed to lift clingy pet hair. 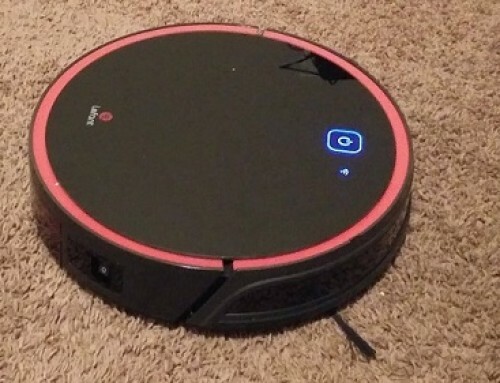 Handhelds are another type of vacuum cleaner, but they aren’t suitable for whole-house cleaning, and backpack vacuums quickly become cumbersome. 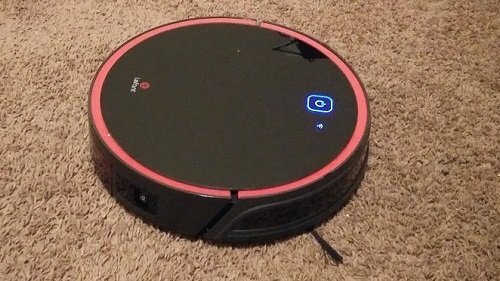 Robot vacuums reduce the amount of time you spend on household chores, but their dust bins can’t hold a lot of debris at one, and these vacuums can’t clean any surface above the floor. Finally, there are canister vacuums. These vacuum cleaners have the power of an upright and the mobility of a handheld. Quality canister vacuums are a great solution for people who are overwhelmed by the massive amounts of fur their pets shed. A canister vac is easy to maneuver thanks to its slim body and flexible hose. Most come with one or more floor heads, so you can address any type of flooring in your home, and virtually all of them are equipped with above-floor attachments such as dust brushes, crevice tools, and motorized upholstery brushes. Usually, canister vacuums sit on a set of wheels that make these vacuums a breeze to move throughout your house, and they also have a carrying handle for times when you need to lift them. From couches to curtains, these vacuum cleaners are versatile. Many of them contain HEPA filters to capture the allergens they suction, which is a must-have vacuum cleaner feature for pet owners. 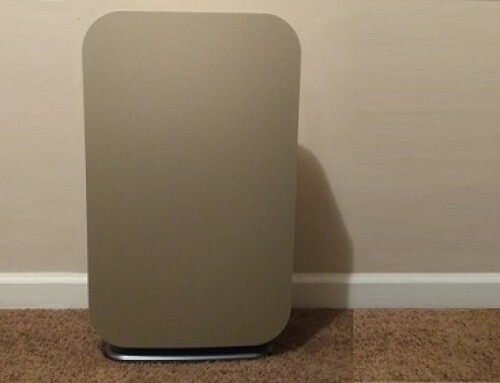 A high-efficiency particulate air, or HEPA, filter, is the best type of filter available in a vacuum. Unlike standard filters, HEPA filters can trap 99.97 percent of dust, hair, dander and other allergens as small as 0.3 microns. Their exceptional ability to capture irritating particles means these particles won’t re-enter the air during the vacuuming process. Even if you don’t suffer from allergies, a HEPA filter keeps the air in your home cleaner, which is no easy feat when you own animals. While canister vacuums are versatile, you can’t take a one-size-fits-all approach to buying one. Specifically, you need a canister vac that can thoroughly and safely clean the flooring in your home. For instance, if you have wall-to-wall carpeting in your house, you need a canister vacuum with a brushroll. Alternatively, if your house has hardwoods or a combination of flooring, look for a canister vac with a variable-speed brushroll or multiple floor heads, so you can vacuum your carpets without damaging your delicate floors. If you live in a multi-story home, there are two points to keep in mind when canister vac shopping. First, the vacuum should come with an attachment designed for stairs, such as a motorized brush. Second, the vacuum should be lightweight because you’ll need to vacuum more often than people who don’t have pets in order to keep up with the fur they shed. For general vacuuming, bagged or bagless comes down to personal preference. However, when there are fur-covered animals involved, this choice becomes more important. Since you’ll regularly vacuum up pet hair, you’ll spend a lot of money on replacement bags over time if you go the bagged route. On the other hand, you can use the same bin in a bagless canister vacuum over and over. The only downside to bagless canisters is the mess that can happen when you dump the debris, but a bottom-release bin helps cut down on the dust that puffs into the air. Corded vacuums are tried-and-true. They can run for as long as the electricity in your house is functional, so your cleaning time isn’t limited. However, their power cords only stretch so far before you need to switch outlets, which is an inconvenience. Cordless vacuums depend on a rechargeable battery instead of electricity, usually limiting the amount of time they can clean to well under an hour. When it comes to canister vacuum cleaners, cordless units are rarely available. 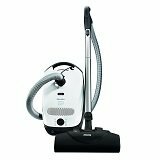 If you have plush carpet in your house, the Electrolux EL4335B Ultra Flex is the canister vacuum for you. It lets you turn the brushroll on and off, and you can choose one of three floor heights from thick carpet to bare floors. With adjustable cyclonic suction, you can pick up pet hair from any surface, including curtains. Plus, the brushroll cleans itself, keeping tangles to a minimum. The mega-sized wheels help you maneuver the canister vacuum while the auto-wind power cord, flexible hose, and telescopic wand offer a whopping 33 feet of reach. Since it only weighs 11.6 pounds, the vacuum is easy to tote up and down the stairs. For times when you need to see in dark spaces, the LED lights on the 11.5-inch-wide floor nozzle illuminate your path. You’ll also appreciate features like its looped handle that gives you a comfortable grip and a HEPA filter that traps allergy-inducing particles. The dust cup can hold 1.4 quarts, so you won’t need to make many trips to the garbage can, and you can store the dusting brush and crevice tool on the vacuum. Tired of pet odors? This canister vacuum by Severin Germany can knock them out. The vacuum boasts a HEPA 14 filter with a layer of activated carbon that fights against unpleasant household odors. For additional odor control, the 4-liter dust bag seals around the opening, and the bag contains odor neutralizers. Whatever part of your house you’re cleaning, the canister vacuum offers the ideal suction strength. By simply pushing a button, you can select from four suction levels, the highest of which is only 72 decibels. Severin made the power cord red for visibility, and the three rubber wheels won’t harm your floors. For stair, furniture and drapery cleaning, the flexible hose and click-lock extension wand provide you with 9 feet of above-floor reach. To help you tackle these chores, you get a claw-equipped upholstery tool, a motorized mattress brush and a parquet nozzle for delicate floors. With the accessory bag, you don’t have to worry about misplacing small attachments like the dust brush and crevice tool. Fishing for the right attachment is one of the more cumbersome parts of vacuuming. Kenmore has solved this problem with its Pop-n-Go system. With the way the floor head is stored on the Kenmore 81614 Bagged Canister Vacuum, all you have to do is press the nozzle onto the floor head without even touching it. Plus, the motorized PowerMate brush and other attachments have their own storage caddy. The entire vacuum is controlled by two motors, allowing you to use suction with or without the brushroll. You can even adjust the suction with a fingertip sliding switch on the triangular handle, allowing you to use the vacuum from floor to ceiling. This canister vacuum contains a HEPA filter that captures dander and other allergens. With a 28-foot power cord and a telescopic wand, you get all the reach you need to wipe out cobwebs in corners and dust on shelves. When you’re done the vacuuming for the day, the cord automatically rewinds for quick and easy storage. Here is another excellent whole-house canister vacuum. 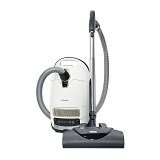 The Miele Classic C1 Cat and Dog Canister Vacuum offers six suction speeds that you can control via a turn dial on the canister itself. This means you can safely vacuum curtains, upholstery, area rugs, hard floors, and carpets of all pile heights. 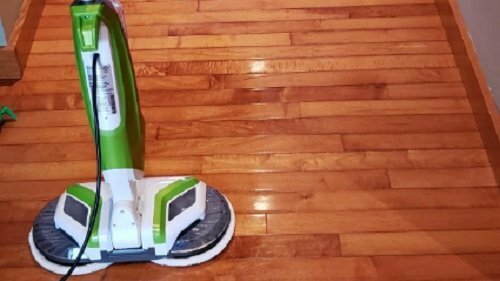 You can either use the five-level Electro+ motorized floor head to clean your carpets or the parquet floor head that swivels 180 degrees, which is great for hard floor vacuuming. You also get a dust brush, upholstery brush, crevice tool and turbo tool, all of which you can store on the canister vacuum’s hose. With the 18-foot power cord, you get a large cleaning radius with which to work. The power switch is located on the ergonomic handle for easy operating. You don’t have to worry about pet allergens or their accompanying odors thanks to the charcoal-layered Active AirClean filter. The New Miele Complete C3 Cat & Dog Canister Vacuum is an extremely user-friendly vacuum. You can switch to any of the six suction speeds while you’re vacuuming by pressing the plus and minus buttons. By looking at the on-board illustrated lights, you can quickly confirm your choice. There is even an indicator light that tells you when it’s time to change the 4.5-liter 3D efficiency dust bag. 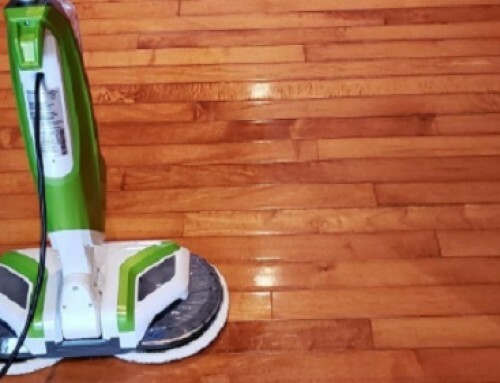 You can use the canister vac on all the floors in your house since it has an adjustable-height floor head. Plus, you get a turbo brush to help you lift stubborn pet hair. 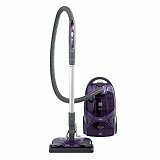 The vacuum’s curved handle allows you to hold it comfortably during long cleaning sessions, and you can retract the cord by pushing the floor head’s switch with your foot. In order to keep allergens and odors at bay, there is an Active AirClean filter covered in a layer of activated carbon. This filter sits inside of a sealed system; therefore, there aren’t any points where the suctioned dust can escape. Besides a top-notch HEPA filter, you also get four dust bags and two extra filters at no additional charge. You have pets. Their hair is everywhere, and you need a vacuum. That means the search is on for the perfect canister vac. To make your shopping experience easier, we’ve compiled a small yet descriptive list of the most important features you need in a canister vacuum. As far as suction power goes, the stronger it is, the better the vacuum will lift the pet hair all over your house. However, there are times when you don’t need super-strong suction, such as when you clean curtains or upholstery. Whether by a dial, a switch or a button, you need a canister vac that lets you adjust the suction. If you have pets that shed and carpets, you must get a canister vacuum with a brushroll. This feature presents in one of two ways depending on the vacuum model. On some vacuums, there is a brushroll power switch. On others, there are two floor heads that you can interchange – one with a brushroll and one without a rolling brush. This may seem like an insignificant feature. However, the wheels on a canister vac matter. If they are made of hard material, you could risk scratching your tile or hardwood floors. Instead, look for wheels that are made of soft rubber. If you have plush carpet, it helps to have a vacuum with large wheels that can maneuver through thick fibers. There are three major components that factor into a canister vacuum’s reach. 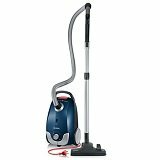 These vacuum cleaners have a flexible hose that usually stretches anywhere from 3 to 6 feet in total length. They also have a rigid extension wand and a power cord. In terms of length, the longer all three of these components, the further you can reach up high or down low. As we previously mentioned, a HEPA filter captures the most allergens in comparison to other filters. Sometimes, you’ll see a vacuum manufacturer describe the filter as a HEPA-type or HEPA-style filter. Although a few of these filters come close to a HEPA filter’s efficiency, they aren’t one and the same. If you’re concerned about the smells your pets leave behind, look for a HEPA filter with an activated carbon layer. Another feature to be on the lookout for is a sealed filtration system. This system ensures that no dust or fine particles can escape through minute openings. Whether you decide to buy a bagless or a bagged canister, it should have a large debris capacity. There are many canister vacuums that can hold 4 liters or more. If you get a bagged vacuum, you’ll definitely want one with some type of odor neutralizer inside of it. Attachments play a crucial role in your quest to conquer the copious amounts of pet hair in your home. At a minimum, you need a few basic tools such as a crevice tool to get in narrow spots, a dust brush for hard surfaces and a motorized brush for upholstery cleaning. Of course, you’ll need a way to store all these accessories. Some canister vacuums come with a cloth bag for storage. However, most models have an on-board caddy or a hose clip, so your vacuuming tools are available at a moment’s notice.